A Quirky Grade Ii Listed House Situated In The Heart Of Southsea. 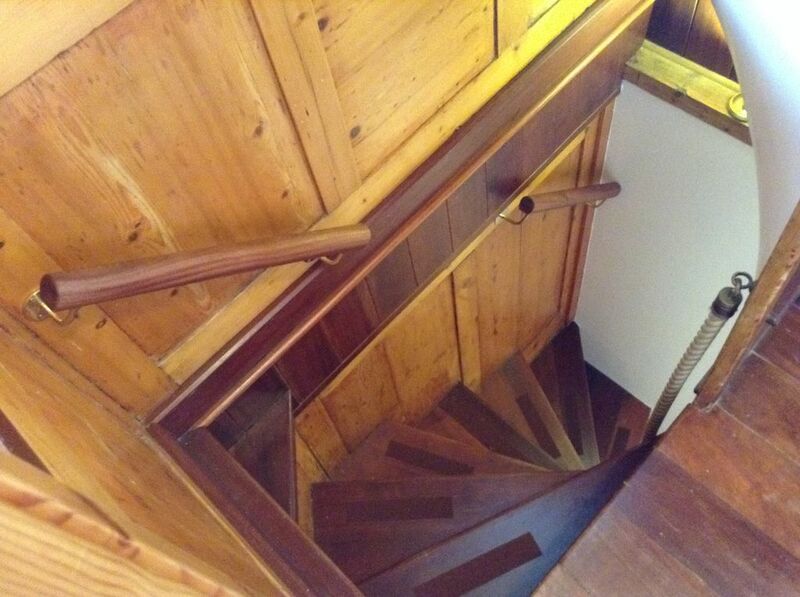 A small quirky Grade II listed house with a steep spiral wooden staircase, with wooden floors situated in the heart of Southsea. Fantastic central location for Southsea Common, Southsea shopping precinct and Old Portsmouth. Please be advised that the staircase is steep and not suitable for anyone with limited mobility. It has a feature wooden spiral staircase leading up to the 2 double bedrooms and higher still into the dual aspect attic space where a single bed is located. (The option for another single bed to be made up here is possible on request.). Due to this feature the house is not suitable to those with children under 5 or who have mobility problems. All the floors in the original part of the property are wooden, with tiled floors in the bathroom and kitchen. The original building has been extended to the rear where the neat bathroom and well appointed kitchen are located. Both bathroom and kitchen posses sky lights to give that extra feeling of light. The small enclosed courtyard at the rear houses the washing machine,freezer and drying area. Scratch card Parking Permits( KD Zone) will be provided for the duration of your stay and possibly once parked you will be able to explore the delights of the area on foot and forget about your car until you leave. Parking is not guaranteed in the parking zone but there is plenty of paid for parking available around the common extremely close to the property. An upright electric clothes dryer for hanging wet clothing on is available. A bath towel for each guest and 2 hand towels for bathroom. Freeview available Smart TV linked to internet. A selection of games are located in the lounge, card games, draughts, connect 4, Balderdash. Not suitable for people with limited mobility due to steep stairs and sleeping accommodation in upper floors only. Helpful, friendly owner. House very clean and comfortable. Good position for all attractions and shops. 3 children and 2 adults had a great holiday. Thank you! Many Great Restaurants in close proximity. Co-op supermarket close by if one doesn't want to eat out. The Kitchen had all the tools and essentials to make our stay trouble free. Nice park/Ocean just about on the door step with everything else within 10 to 15 minute walk. We really enjoyed our stay. Portsmouth is a great place to visit and this place puts you in the middle of it. Thank you Alison for a lovely stay. We were very impressed by the quality of furnishings and had a great week. The location was superb and we didn't get in the car once during our stay as everything was in walking distance. Lovely cottage with everything you need and more. Cosy, clean and lots of character. Alison is a very thoughtful host and it was lovely that she was there to greet us on arrival. Would definitly stay again and very happy to recommend. Great home away from home. Really well kitted out kitchen, games for kids, books. Lovely place to stay. Great location - close to sea promenade and walkable to Portsmouth Harbour, shops etc.